Lately, I have been reading the book, Church Fathers – From Clement of Rome to Augustine, written by Pope Emeritus Benedict XVI. It’s a collection of his Wednesday Audiences that teach us about Early Church Fathers. 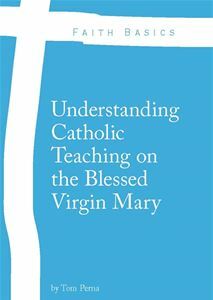 It’s a fantastic read, easy to understand, and every Catholic should buy it and read it. Knowing the minds of the Early Church Fathers is important for us as Catholics today because they give us pages of doctrinally sound theology obedient to the Magisterium of the Church. The Second Vatican Council promulgated the importance of reading and studying the Sacred Scriptures with the Dogmatic Constitution on the Scriptures, Dei Verbum. Although there is not one specific document that teaches on the Church Fathers, their words are professed throughout each of the documents, which say to us, that their theological prowess should be studied and read in modern times. As Catholics, we must read and study these great theologians and Saints. It is our duty at all times to learn more about our Catholic faith and to live it, but especially during this Second Fortnight for Freedom. Many of the Early Church Fathers (1st-4th centuries) taught when Christianity was illegal. Even after it was made legal, by Emperor Constantine with the Edict of Milan, many of these men still faced hostility from their enemies, within and outside of the Church. Today and tomorrow in the church’s liturgical calendar in the West, we are given two powerhouse Church Fathers and Doctors of the Church. Today’s memorial is to honor the great theologian from the Alexandrian School of Theology – Saint Cyril of Alexandria. He is the “man of the hour” at the Council of Ephesus and his writings were countless and successful throughout the East and the West during his own time. This link – St. Cyril of Alexandria: Defender of the Incarnation and the Theotokos – will provide you will more information about him. “The Christian faith is first and foremost the encounter with Jesus, “a Person, which gives life a new horizon” (Deus Caritas Est, no. 1). Saint Cyril of Alexandria was an unflagging, staunch witness of Jesus Christ, the Incarnate Word of God, emphasizing above all his unity…[In a letter to Bishop Succensus he says], “Only one is the Son, only one the Lord Jesus Christ, both before the Incarnation and after the Incarnation. Indeed the Logos born of God the Father was not one Son and the one born of the Blessed Virgin another; but we believe that the very One who was born before all ages was also born according to the flesh and of a woman”” (pg. 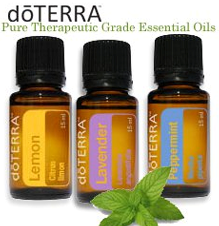 111). 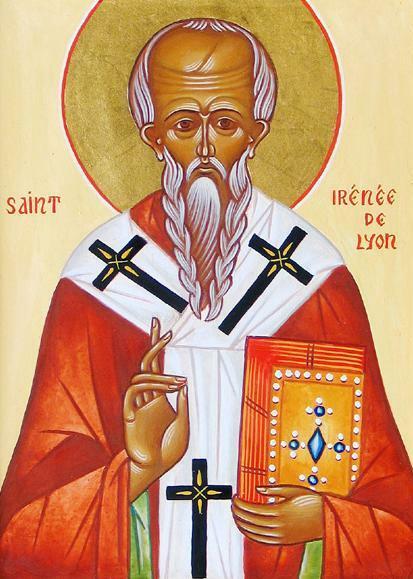 Tomorrow, we will honor, St. Irenaeus of Lyons. St. Irenaeus was a disciple of Polycarp who in turn was a disciple of St. John the Apostle. He was a staunch figure and theologian during a time when many Gnostic philosophies and religions claiming to be as true as Christianity were on the rise. This link – St. Irenaeus: The Gnostic Fighter – will provide more information about him. “Irenaeus was first and foremost a man of faith and a Pastor. Like a good Pastor, he had a good sense of proportion, a wealth of doctrine, and missionary enthusiasm. As a writer, he pursued a twofold aim: to defend true doctrine from the attacks of heretics and to explain the truth of faith clearly…In short, Irenaeus can be defined as the champion in the fight against heresies” (pg. 22). As we endure social persecutions in today’s modern Culture of Death for believing the Truth of Jesus Christ and His Church, let us ask for the intercessory prayers of all the Early Church Fathers, but especially during this Fortnight for Freedom, let us ask St. Cyril of Alexandria and St. Irenaeus of Lyons to give us strength to learn, teach, and defend the teachings of Jesus Christ to a Neo-Pagan world that has rejected Him. Through the intercession of the Theotokos, Holy Mother Mary, pray for our endeavors and those we seek to reach. Amen.